I have only few obsessions in life and these are flowers & vintage prints, pastels, polka dots, and stripes. Call me old fashion and girly but I like my things all nice and pretty. They’re my source of happiness and inspiration. 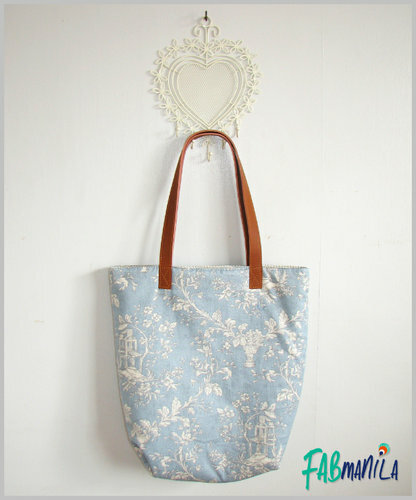 Carrying my favorite bag in dainty floral prints or drinking water from my pretty glass cup puts me in a super good mood. When I feel out of sorts, I only have to rummage through my boxful of coin purses (believe me I have a lot) and choose the one I find prettiest at the moment, and everything will be right in my world again. Pretty stuffs transform me, they turn me into a gentle, caring, nurturing, happy individual. For me the adage, happiness can be found even in simple things rings so true that I make it a point to surround myself with pretty little stuffs at home and at work. 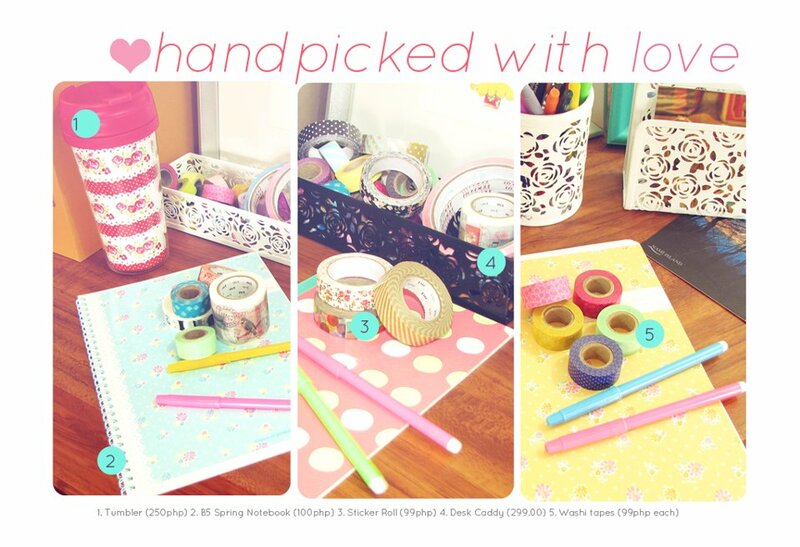 They need not be expensive so long as they are too cute to resist and too pretty not to use, then they will make my happiness cut. As they say Happy people make for productive people. Recently Fab Manila, yes the Fab Manila that we have grown to love since multiply days and yes the Fab Manila where pretty stuffs are made of, launched its newest collection, Kismet. And I must say I was one of the girls who can’t seem to stop gushing for days over the sheer prettiness of the whole collection. As we all know, Fab Manila is known to produce well crafted bags, travel accessories and organizers. Each design is a celebration of all things feminine and beautiful. They always manage to artistically combine pretty fabrics, unique textures, and fresh unexpected colors in their products. And because of this they never fail to add a touch of whimsy, a dash of fancy, a smidgen of cheer and a good dose of fun to an otherwise plain and ordinary piece of bag or accessory. With Fab Manila, it is easy to express one’s uniqueness and individuality. 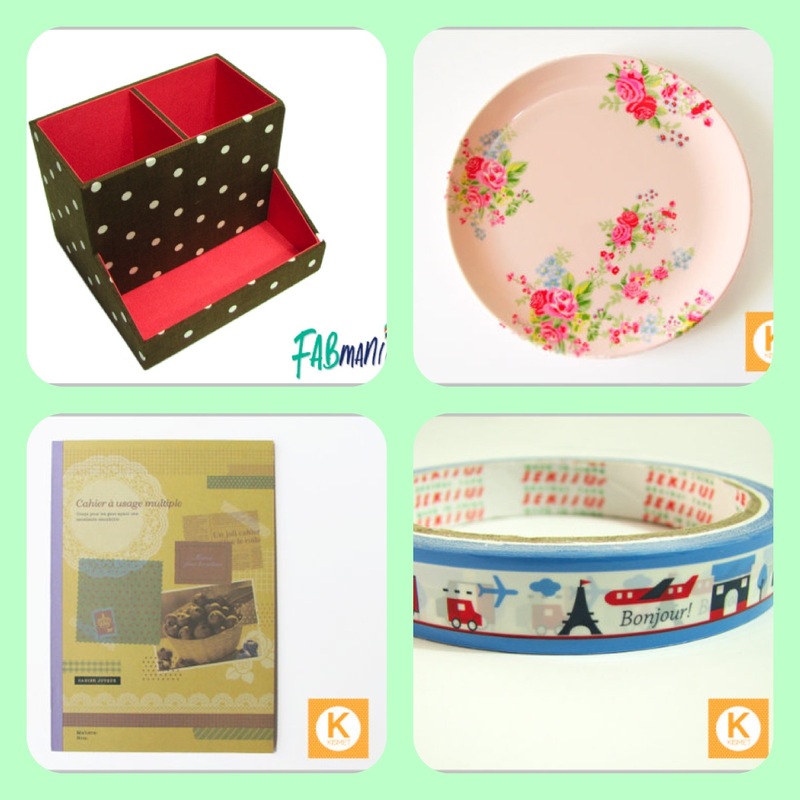 With their wide range of products, you will always find one that would fit your personality. 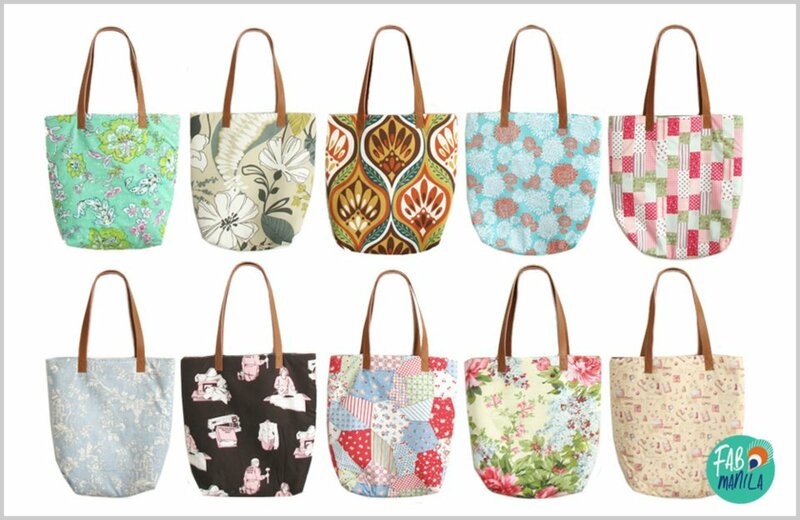 They only produce limited stocks of the same style and design, and make these available only in select boutiques so you won’t have to worry about bumping into another girl with the same Fab Manila bag or stuff. They always aim to provide their customers with one-of-a- kind products that they would definitely be proud of owning. Fab Manila is the brain child of sisters and travel buddies, Jen and Shiela. 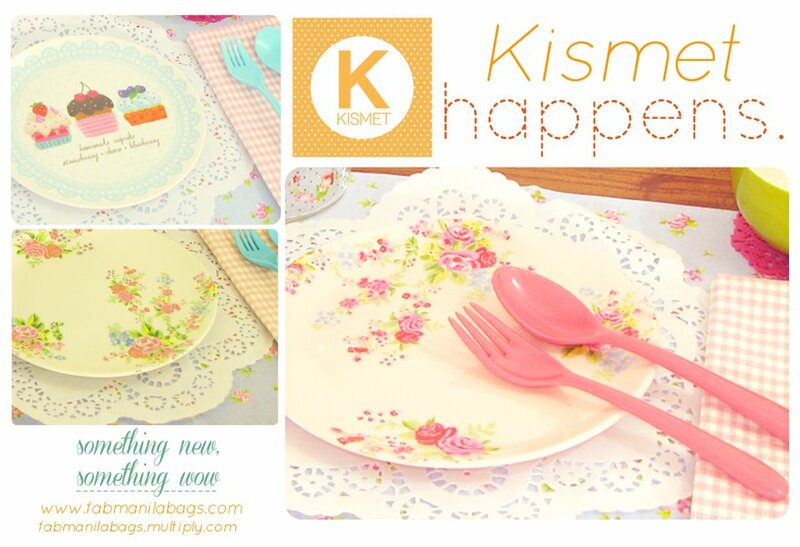 Their love and passion for all things pretty and colourful extend to their newest line Kismet. This collection boasts of homewares, papergoods, organizers, and travel accessories that are just too too pretty to resist. They have personally handpicked these products themselves with only one purpose in mind, to bring a little bright spot to our otherwise boring day at work. Let Kismet’s products work their magic on you like the Turkish word they stand for which is fate/destiny. I guess what endears Fab Manila to its loyal customers is the way they have managed to stir the love for pretty things in us. Somehow they have constantly inspired girls to celebrate their uniqueness, femininity and creativity, and to express themselves in the most fun way with their products. They have manage to seamlessly fuse their love and passion for travel and art to create products that are functional yet fashionable, and practical yet pretty. And what’s more, they have managed to showcase Filipino talent at its finest by producing products of excellent taste and quality, truly worthy of the tag Proudly Philippine Made. And now the best part! As a way of sharing the love for all things fab and pretty, Fab Manila and Blancnotes are giving away these pretty Fab Manila and Kismet products to 2 lucky fans and followers of both Fab Manila and Blancnotes. Winners will be chosen via random.org. To join this giveaway, follow this simple mechanics below (you need to follow all steps to qualify for the raffle). 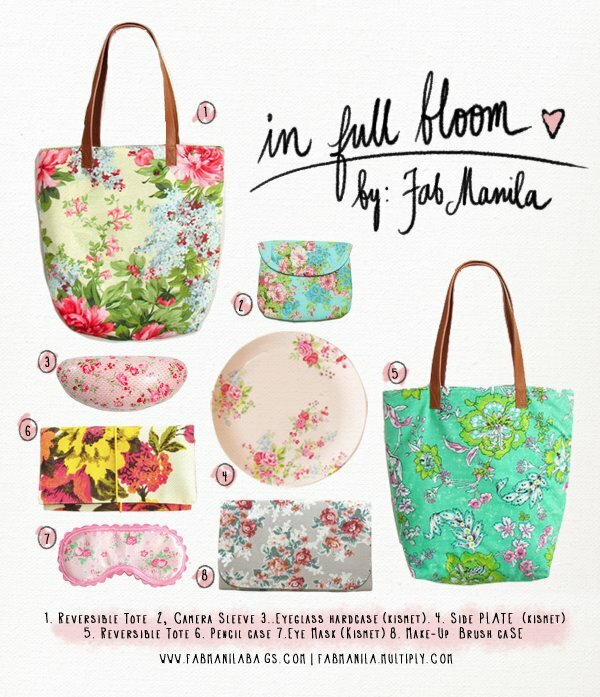 I love Fab Manila products because of their cute and girly designs! I love Fab Manila products because it’s fabulously stylish and beautiful. I love Fab Manila products because they gives an ego boost, especially when representing yourself to someone important and it has a good quality of products. I love Fab Manila Products because they look so classy, subtle and elegant. I love Fab Manila products because their stuff are all sugar + spice + everything nice, and I so love feeling like a girly girl! Twitter name: Jannine Bensi or @kissieboopies16. I love fab Manila products because their is totally right they have a fab products to offer and a good quality. I love Fab Manila products because everything is fabulously cute and nice and I found some that are uniquely designed. URL of your facebook post: https://www.facebook.com/lynne.padilla.14/posts/130791773724962. URL of your twitter post: https://twitter.com/lynneveigh/status/210610790770810881. I love FAB Manila because their bags are easy to mix and match with simple yet chic outfit. I love Fab Manila products because they are sooooo cute, quirky, unique and fab! FACEBOOK NAME: Maryjade Anne Manzanero. URL OF FB POST: http://www.facebook.com/maryjadeanne/posts/421212391252097. URL OF TWITTER POST: https://twitter.com/maryjadeanne/status/212176998901096448. I love Fab Manila products because its fashionable, unique and affordable. Cool publications and type of article writing. I think I’ll check back here down the road and discover what exactly else you’ve in store! across any thing in relation to Fab Manila!! you make blogging look easy. The overall look of your site iis magnificent, let alone the content! subjects.To the next! All the best! !